The North Face owner is dropping $820 mln for Dickies, a maker of apparel for manufacturing and construction laborers. It gives VF a strong position in the workwear marketplace, which Donald Trump has promised to revitalize – or at least a hedge against fashion’s fickleness. 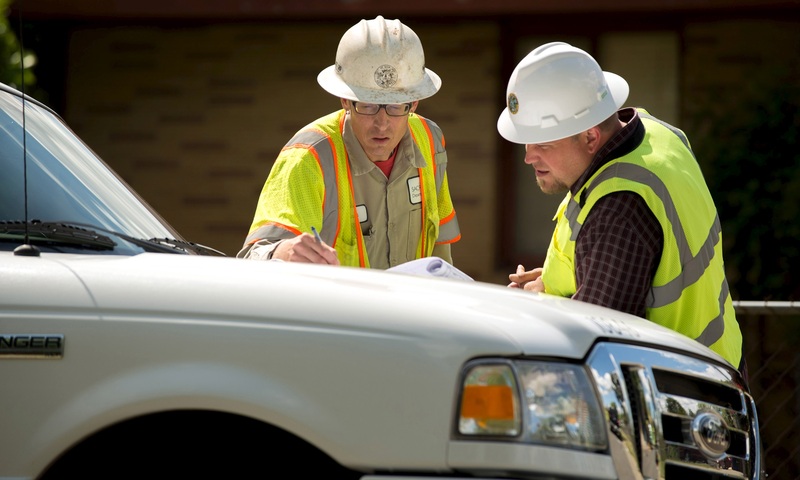 City of Sacramento Service worker Craig Stevens (L) talks with construction inspector Jason Vander Veen as they look over retrofitting plans in Sacramento, California April 8, 2015. VF Corp on Aug. 14 said it has agreed to acquire privately owned Williamson-Dickie Mfg. for approximately $820 million in cash. VF said it now expects its 2017 revenue to rise 3.5 percent to $11.85 billion, which includes about $200 million from Williamson-Dickie. The maker of Timberland and Wrangler clothing also said it expects the acquisition to add 2 cents to this year's earnings forecast of $2.94 a share. VF expects Williamson-Dickie will add more than $1 billion to its top line by 2021.